Great price for a capable rodent. 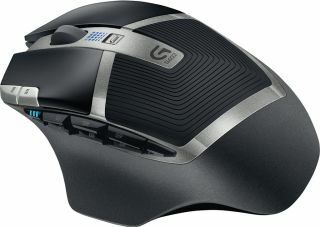 Here is a heads up that a former favorite of ours in the wireless mouse category, the Logitech G602, is now on sale for $40. That's about the lowest we've seen it go for—the G602 can typically be found for anywhere from $55 to $80. At one time the Logitech G602 was our pick for the best wireless gaming mouse. We've since swapped out that selection for Logitech's G900 Chaos Spectrum, though at over $120, there is a wide gulf in price between the two. For $40, the G602 is a pretty great bargain. It doesn't offer the great sensor or design of the G900, but it has stellar battery life—you'll likely go six months without swapping batteries. As a refresher, the Logitech G602 features a 2,500 DPI sensor that's adjustable down to 250 DPI. It also has 11 programmable buttons, a wireless range of up to 9.8 feet (3 meters), and battery life of up to 250 hours in performance mode or 1,440 hours in endurance mode. A number of online sellers that have the Logitech G602 marked down to $40 at the moment, including Amazon, Best Buy, and Newegg, so take your pick.